No Fenders -Formula 1, IndyCar and A Whole lot more..: RETRO: Taking a famous Duesenberg 'round the Block! 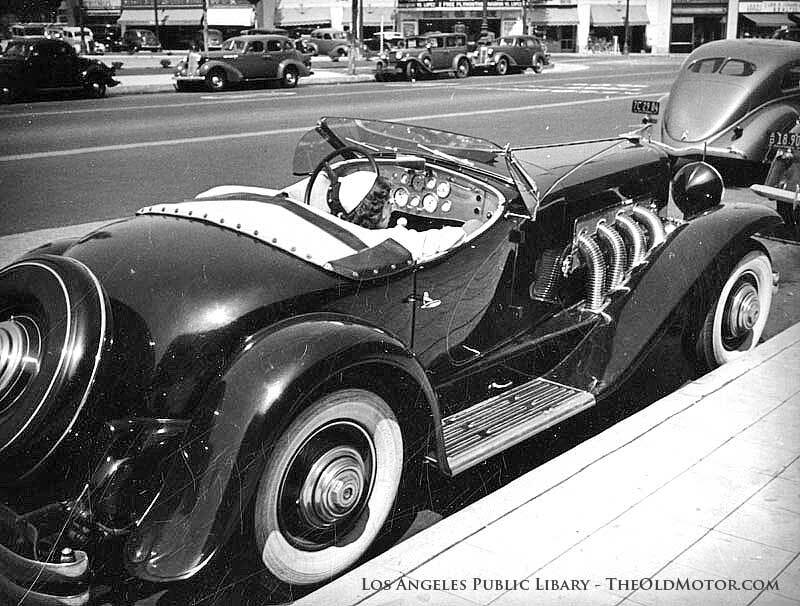 RETRO: Taking a famous Duesenberg 'round the Block! Funny how I became aware of the name Gary Cooper, reportedly one of Hollywood's best actors, whose name and career I know nothing about, having passed away over a half century ago. As perhaps Jay Leno aspires to emulate him? As it seems like the past Tonight Show Front-man banters about his name casually during various episodes of his Jay Leno's Garage TV Show. Born Frank James Cooper in Helena, Montana on May 7, 1901, the charismatic actor who reigned supreme on the Silver Screen for 35yrs, made his debut in 1925 at the end of the Silent Movie era. After changing his screen name to Gary Cooper, Coop' would go onto star in 84 Feature Films, and apparently had a penchant for fine automobiles. As Y'all know the saying "Fast Cars & Fast Women!" Which Coop' was fond of both. As Gary apparently had the Dinero to feed his automotive desires, having signed a new contract with Paramount in 1932, during the Great Depression for $4,000 a week! Coop' would later sign a new contract with Paramount doubling his weekly salary along with a six picture deal with Samuel Goldwin Productions for $150,000 per picture over six years, which the court decided he could keep both contracts, with the U.S. Government's Treasury Dept declaring in 1939 that his nearly $443,000 salary was the highest paying in the country! As Cooper's film career ran from 1925-60, before dying from Prostate Cancer at age 60 in May, 1961. Yet naturally, thanks to Mr. Leno's persistent Gary Cooper name dropping, I became curious 'bout Cooper's ride when perusing the December, 2016 issue of Car And Driver Magazine via my NFB Newsline for The Blind telephone service.